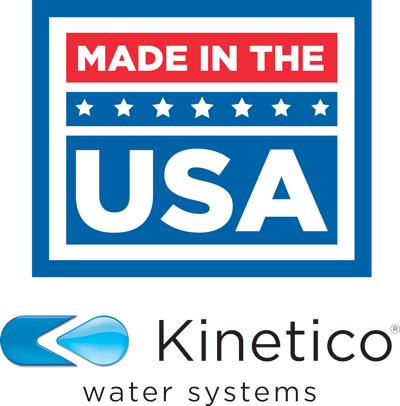 The Kinetico line of water softeners for fast, powerful and efficient performance. Kinetico’s patent-pending AccuDial™ feature allows more precise calibration of the system to your home’s specific water conditions for optimum efficiency, saving on operational costs and eliminating waste. In essence, it’s like having a water softener that’s custom-fit for your home. Designed with today’s demanding households and larger plumbing in mind, Premier Series softeners deliver generous flow rates without forfeiting water softness. And the multiple tank system design assures you have around-the-clock soft water, even during the regeneration (cleaning) process. One tank is always in service while the other tank is either on standby or regenerating. Premier Series systems regenerate at any time of the day or night to ensure you will always have a supply of soft water. Single-tank systems simply can’t offer this. So if you have a house full of guests or are running multiple loads of laundry, you’ll never run out of soft water. And if you’re away from home, the system stays ready without wasting water or salt. Whether your water comes from a well or city supply, our Premier Series water softeners are engineered and built to take on the toughest challenges you’ll find. Choose from models that also remove iron, chlorine or particulates as they soften. We’re so confident our Premier Series systems will perform beautifully for years and years that we back them with the most comprehensive, flexible warranty you’ll find. Non-Electric Operation: Moving water powers these systems, not electricity, so operation is simple and reliable. There are no timers or computers to set, adjust, repair or replace. Works on Demand: Systems meter water use and regenerate based on actual usage. You won’t waste water or salt, yet you’ll always have clean, soft water whenever you need it. AccuDial 20 Precision: Your water professional will accurately adjust the system to your specific water conditions for unparalleled efficiency. High Flow Rate: Systems keep up with the water needs of demanding households and are perfectly suited for larger plumbing in many homes. Soft Water, Countercurrent Regeneration: You’ll enjoy the benefits of improved system efficiency and water quality thanks to Kinetico’s superior regeneration process. Twin Tank System: One tank is always in service, even during regeneration, for an unlimited supply of clean, soft water. Efficient Hardness Removal: Get the water you want in your home without sacrificing savings and convenience. Effective Iron Removal: Removes soluble iron* from water * Depends on type and concentration of iron and other water conditions. Efficient Performance: Uses less water and salt than other systems for remarkable savings. Platinum 10 Year Warranty: Enjoy years of dependability and peace of mind with one of the most comprehensive warranties in the industry.